Is a Dunkin Donuts Franchise a Smart Investment? Driving down any city street in America, you are bound to see countless coffee shops with two major brands attracting the most attention: Starbucks and Dunkin Donuts. Both brands have loyal followings, employ thousands of workers, and generate millions in revenue; but there is one major difference between the two: Starbucks does not franchise any of its stores, rather, it licenses 41 percent of its stores while the rest are corporate owned. Dunkin Donuts, on the other hand, franchises 100 percent of its locations. So, if your dream is to own a Starbucks store, you might be out of luck. 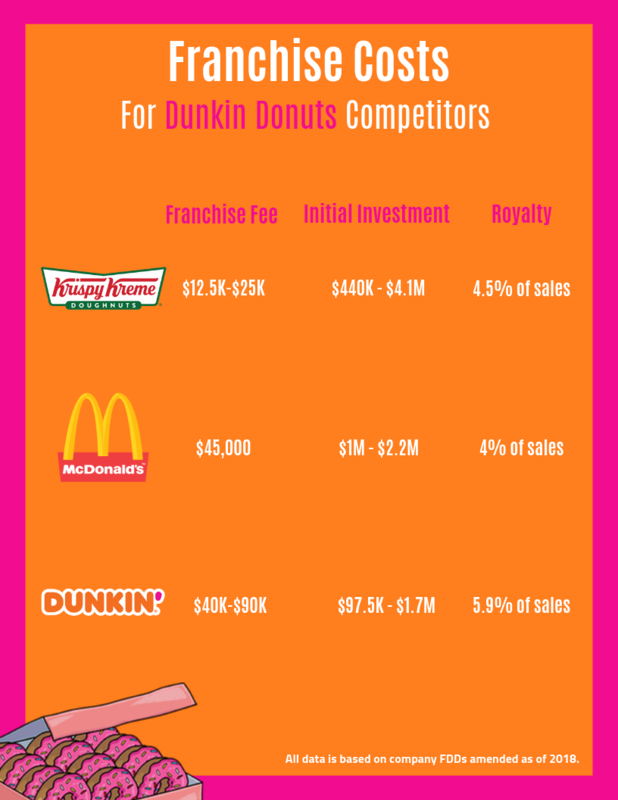 But, if you’ve been curious about what it takes to own a Dunkin Donuts franchise, read on! We’ll tell you everything you need to know about owning your own Dunks — and if you ultimately decide a Dunkin Donuts franchise is not for you, we’ll offer up some top-rated coffee franchise alternatives to consider. See This Year's Top-Rated Food Franchises! Dunkin’s most loyal customer base is in the Northeast, where it was originally founded in 1948 by William Rosenberg under the name “Open Kettle.” Donuts were five cents, and coffee was ten cents, if you can even imagine that. In 1955, the brand began franchising and quickly grew to over 100 locations by 1963. Today, Dunkin Donuts has over 12,000 franchise locations across the globe. A common misconception is that you need to have prior experience in business (marketing, finance, etc) in order to buy and operate a successful franchise. This is not the case! In fact, many franchisees have little to no business background or education. One of Dunkin’s most successful franchisees, Robert Branca, has a law degree from the University of Michigan. He owns and operates nearly 700 stores (along with his wife, Lisa) across Massachusetts, Connecticut, and New York. While having knowledge of business certainly helps, you do not need to drop thousands of dollars on a business degree to set up shop. Worldwide, Dunkin’ serves approximately 3 million customers per day — and they have more than 8 million customers enrolled in their DD perks program (their mobile app). Perhaps, this is due in part to their loyal fan base and commitment to providing superior customer service. There are more than 12,000 locations across the globe, with 8,500 in the United States alone (spread across 41 states! ), according to their website. In addition, Dunkin Brands (which includes Baskin Robbins) has a 98 percent brand recognition among consumers. That doesn’t mean they’re resting on their laurels, though. Dunkin’ continues to prioritize brand awareness, partnering with other major brands such as JetBlue, Saucony and Coca Cola. While much of America’s East Coast states are reserved for current franchisees, the brand has big plans to expand west. In a press release, the brand noted their growth plan to “add approximately 1,000 new Dunkin' Donuts locations in the U.S. by the end of 2020.” They expect that more than 90 percent of these locations will be built outside of the Northeast. You can check out available territories here. One of the most attractive aspects of franchising is the support you receive as a franchisee. Dunkin Donuts has a team of experienced franchising support professionals to guide their franchisees toward success. The support staff includes real estate managers, operations managers, field marketing managers, and more. Each of these individuals assists with everything from site selection, to training, to marketing and management. Aside from this, they offer an advisory council, which provides feedback to franchisees to help them determine what is working and what is not. Dunkin Donuts is famous for, of course, their donuts; but, not everyone wants to reach for that greasy treat in the morning. Dunkin’ caters to those who are watching their waistline with menu items such as reduced fat muffins, egg white flatbread sandwiches, and sugar-free flavor shots for coffee drinks. Also, as their customer base grows, so does the need to enhance technology. Dunkin’ tested a new digital catering and delivery platform in 2018, which is (hopefully) set to be released this year. In addition, more than 75 percent of new restaurants will have a drive-thru, with many featuring a mobile order lane. Dunkin’ is the first in the country to create this new method of getting food, fast. While Dunkin Donuts is appealing for several reasons, it is not the right business opportunity for everyone. For one, it can be difficult for many prospective franchise owners to meet the requirements of ownership. You’ll need a net worth of at least $500,000 and $250,000 cash on hand. In general, the food sector can be challenging due to competition in the space, labor challenges, and low margins. Many restaurants struggle to make a profit as tastes and trends in food change, and keeping up with these changes can become costly. To start a Dunkin Donuts franchise, the total initial investment ranges anywhere from $97,500 to $1,717,103. This is fairly low when compared to other big brands such as their competitor Krispy Kreme, which requires an investment between $440,500 - $4,115,000, according to FDD data for both companies. How Much Does a Dunkin’ Franchisee Make? The annual sales of a Dunkin’ Donuts location range from about $620,000 to $1.3 million* depending on the type of franchise you own – freestanding store, in-line shopping center, or a non-traditional location in a gas station or convenience store. Locations with a drive-thru window will bump sales an extra $200,000 to $300,000 per year. Dunkin’ Donuts franchise profitability has been declining since the “good old days” of the 80’s and 90’s when “DD was the only game in town” according to franchisees we spoke with. Franchise Business Review estimates the average Dunkin’ Donuts franchise today is generating net profits of roughly 8 percent to 12 percent – slightly higher for some of their top performing operators. That said, with the average Dunkin’ Donuts doing just over $1 million in annual sales, net operating income (aka “profit”) would be roughly around $100,000 per location after all expenses such as food costs, labor, rent, royalties, and general operating expenses. 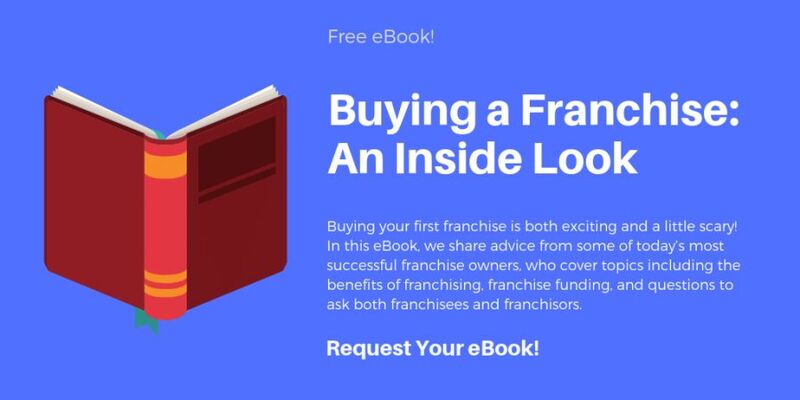 Additionally, most franchise owners have loans to repay, which will take another big bite out of net profits before the franchise owner can pay themselves a salary. Bottom line: Dunkin’ Donuts is a strong brand with a solid future, but if you only own one franchise location, you’ve essentially bought yourself a job. Like many business owners in the franchise sector, multi-unit Dunkin’ Donuts franchisees that own 5, 10, or even more locations, are the people in franchising that are truly building significant wealth. You need to work well with the company restrictions and limitations. You may not always get a say in how things work. For example, you will only be able to purchase supplies and products from approved lists of suppliers and manufacturers..
You must have exceptional interpersonal skills. Positively interacting with customers and employees is one of your most important responsibilities. You must be able to not only be a good listener and follow/apply instructions, but also believe in the product you are selling to the public. If you like the idea of owning a coffee franchise, but have decided that Dunkin Donuts is not the franchise for you, there are several alternatives to consider. The three franchise brands listed below have been highly recommended by the franchisees that own them, landing them on the FBR Top Food and Beverage Franchises list. The Louisiana favorite was founded in 1978, and has been franchising since 2008. PJ’s boasts 96 franchised locations across eight states, and has experienced a 47 percent growth over five years! Their franchise fee ranges from $20,000 to $30,000 depending on the store, and the initial investment is rather low, starting at $168,000, with the maximum initial investment being $566,000. The company values sustainability, and sources all of their coffee beans from farms in Nicaragua; producing jobs and great coffee at the same time. Learn more about PJs Coffee here. Mary Rolf, standing in front of her Scooter’s Coffee franchise. Founded in 1998 in Bellevue, Nebraska by Don and Linda Eckles, Scooter’s Coffee has been a long-time favorite of Nebraskans, serving “Amazing People, Amazing Drinks... Amazingly Fast!”®. Scooter’s offers both single-unit and multi-unit opportunities to franchisees, along with two store concepts: A Drive-Thru Coffee Kiosk and Drive-Thru Coffee House (dine-in). While Scooter’s may not offer donuts, they do carry a variety of tasty items Dunkin’ doesn’t, such as breakfast burritos and smoothies. The franchise fee is $40,000, and the initial investment for a Scooter’s is anywhere between $423,000 to $438,000. Biggby opened their first location in Michigan in 1995, and they currently have 77 retail locations across the Midwestern and Southeastern United States. Their franchise fee is anywhere from $26,000 to $35,000, and the initial investment is between $166,350 and $324,100. Dunkin’, beware: Biggby has donut holes, too. There are thousands of franchise opportunities to consider. So take your time, do your research, and talk to current franchise owners who can give you first-hand advice and offer feedback on what it’s like to own a particular franchise. Owning and operating a franchise is no small feat. As Dunkin’s founder, William Rosenberg, once said, “Winning takes effort.” Dunkin’ franchisees, or any franchisee for that matter, must put forth an effort to see their business grow. If you are not willing to do that, well, you should probably just stick to eating donuts. Don't Miss This Year's Top Food and Beverage Franchise Opportunties! See the Award Winning Brands. *Based on 2018 Item 19 data in the Dunkin Donuts Franchise Disclosure Document (FDD).